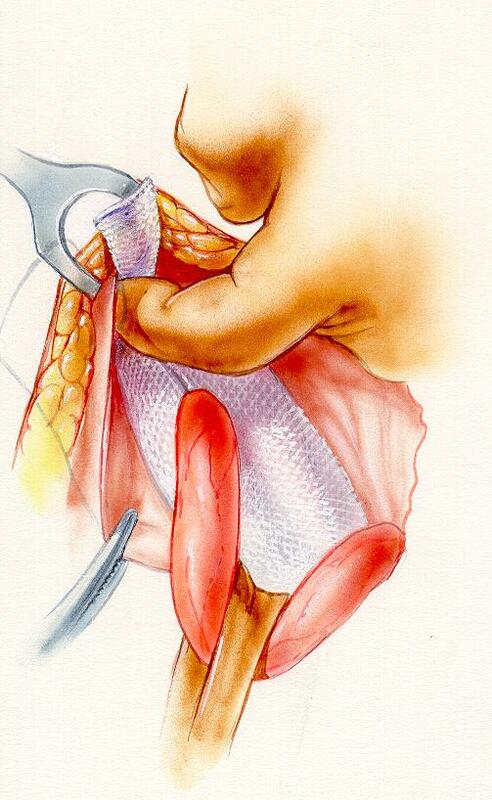 The lateral mesh is tucced under the external oblique aponeurosis. 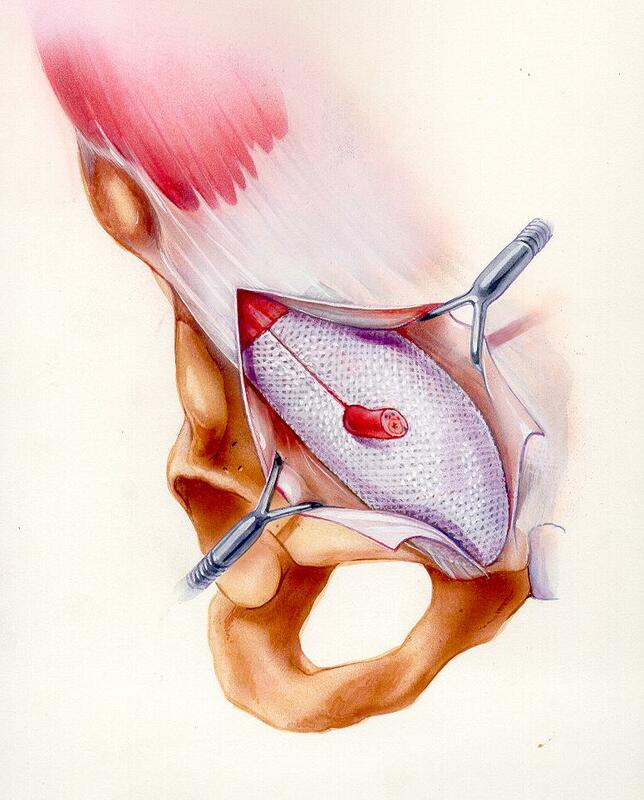 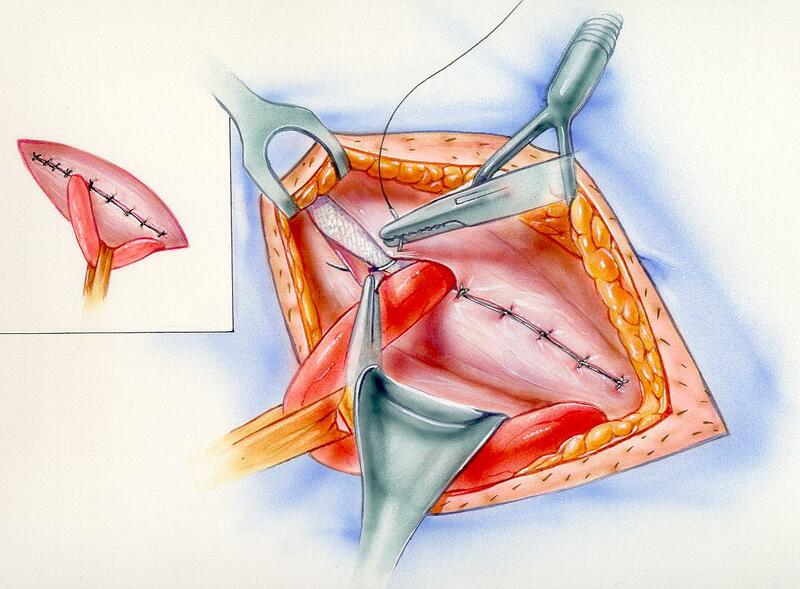 A rigid pre-shaped universal mesh fits the entire inguinal box. 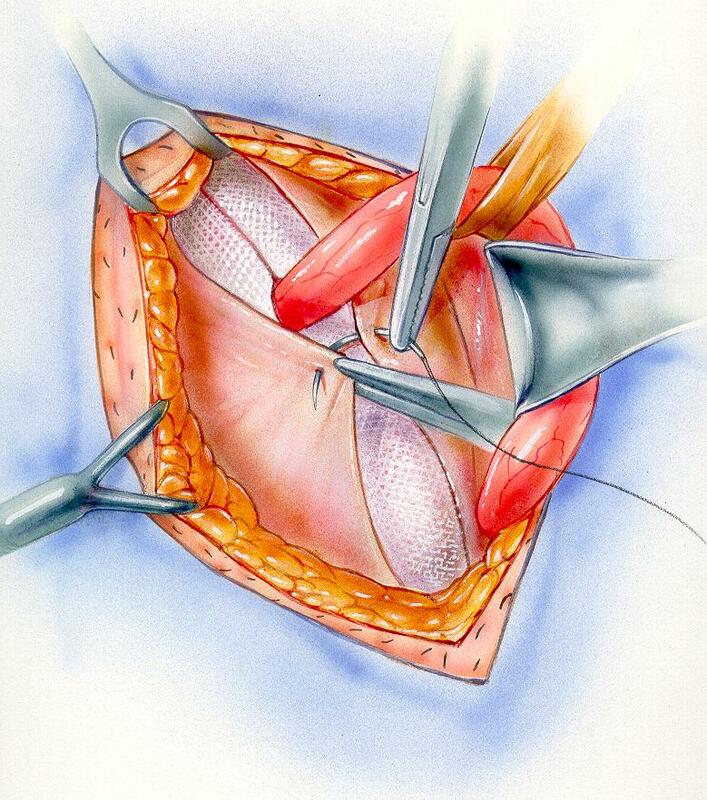 The mesh cannot move or migrate, because it is placed in a closed anatomical space. 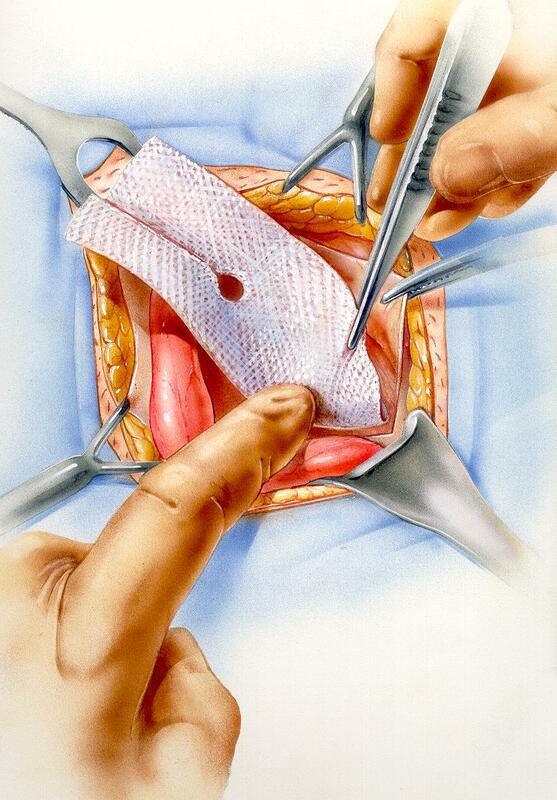 It is not necessary to suture the mesh.